So because they are an ethical company, it is standard Clickbank terms and conditions that all products come with a 60 day money back guarantee. No matter what the vendor may say. The seller can offer a longer guarantee if they like, but if it comes to a refund and it’s inside 60 days they cannot say no or simply ignore you! But the trick is in knowing how to request a Clickbank refund. 2. Enter your Order Number (this will be in the email you received when you ordered), and the Email address you used when ordering, then hit the Submit button. 3. You should now see details of your order. Click the Get Support link at the top left. 4. Now you’ll be asked ‘What problem are you having?’. Select ‘More options…‘ from the dropdown list. You won’t instantly be refunded. You need to allow 2 business days, as Clickbank creates a refund ticket and the seller is asked to respond to it. The seller may simply agree to the refund, or they may present a reason why a refund should not be given. But ultimately it’s still up to Clickbank – the seller can’t just say no! And if they don’t respond at all, the refund will be made anyway. The phone number you have is for Clickbank, who are based in the USA. I recommend you follow the steps outlined in the post above to request the refund directly with Clickbank. But make sure you do this quickly as you only have 60 days from purchase. I have paid an amount twice by mistake an amount of $56.99aud to trim down club. I do not have the original email and the only trace of information I have is from Paypal invoice numbers fp****4r and 8****3be. I would like a refund of one amount if possible. I hope you can help me in this matter as I am a pensioner and can not afford to lose this money. Thank you. Hello, I have a similar problem. Clickbank refunded my money, but I still cannot see it on my bank statement. That was a week ago. I have direct Clicbank confirmation that the money was refunded. They would refund to whatever card you used for the initial payment, so first thing is to make sure you are checking the right account. If that doesn’t help, you’ll need to contact Clickbank again to find out why the payment hasn’t come through. I canceled all the prouducts but was still charged. Please refund my account. Follow the steps I gave you in the blog post Donald. Nowhere does it say post a comment to get a refund – we’re not Clickbank so we can’t give you a refund. I followed your instructions but no support button appears on the page? Just my invoice? Do you have to do this within their open hours? Hello,I joined Trim Down a couple of months ago, 7 days after I asked to be refunded as it was too difficult to understand and I was unable to participate. However, after 2 months I still have not received my refund. I was not sent a confirmation email at all after the money was taken out or even after I had joined. I have sent them email after email and still nothing. Would you please advise on how I would be able to get a refund from them? Clickbank always send out an email receipt for every transaction, and the company involved would have sent some emails too. So it sounds like you’ve missed those emails – they probably got misidentified as spam by Yahoo mail (it’s important to check your spam folder occasionally and mark anything incorrectly identified as not spam, or add them to your approved senders/address book). 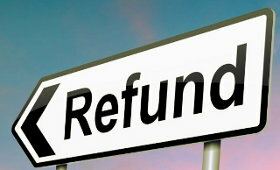 I got a refund confirmation on 21/4/2015 but why isn’t the money in my bank account? That means I need to wait again even though I got this confirmation letter? Please answer me. If the confirmation was from Clickbank, then yes, just allow time for the payment to reach your account. How long it takes depends on how you paid (they refund back to the card/account you paid from) and what part of the world you are in. Give it a couple more days. I paid the money from my debit card from Thailand. I am just worried because some people on other websites told me that they got their refund within two days. Hope to get a refund soon. I haven’t received one so far. order#2qf##e3f $52.05 tech support310##2497 Please give me a refund. I did not get the item and I was ill for a long time. I realize I had a mistake on buying a scammy product yesterday. So I looked up on the web some good solutions. Thanks to your article I could make a Clickbank Refund Request just now. I hope it works for all. Just follow the refund process Esther. Much as I’d like to I can’t do anything as takesurveys is nothing to do with us. The refund options are not the same as you have written… they have changed. The site just keeps taking you round in circles. I can’t believe people are so daft to ask for a refund on this site. It’s not hard to figure out why they weren’t successful with their Clickbank purchase… Lol. I made a purchase from an Internet company in December 2015 once off. I payed through click bank. Please refund me… My account nr is CLKBANK*****7QLB… THIS IS FRAUD!!! 1. If you made a purchase, how can it be fraud?? 2. Why would we be able to refund you – we’re not Clickbank or the people you bought the product from..! Contact the company you bought from. If they don’t reply in a reasonable time, then contact the payment processor i.e. ClickBank. This is a scam! Refund my 19.89$ immediately.